Moved ad and revised price. Hi there Guys! I've decided to pass along my BOXL (with its Kydex sheath) in Drunken Coffeebag Micarta & White Pins/Liners - I've had it for about a few weeks & have not used it, carried it, or anything with it - I've slid it in & out of a leather sheath (not the Kydex it came with) & I have cut some paper & annihilated some arm hair - otherwise unused....Oh, I've got some paste wax on the blade to protect it. Price is PayPal Only & includes CONUS shipping & PP Fees (if any) - my PayPal is: [email protected] I'm selling her for $257! Anyone have a Delta 4 for sale? Price Drop on the Above BOXL in Drunken Coffeebag to $188! - I've got this posted elsewhere as well, so I'll take the 1st "I'll take it" - Merry Christmas! This is SOLD!! First definitive reply to the thread with "I'll take it" gets it. Feel free to PM or email with questions. 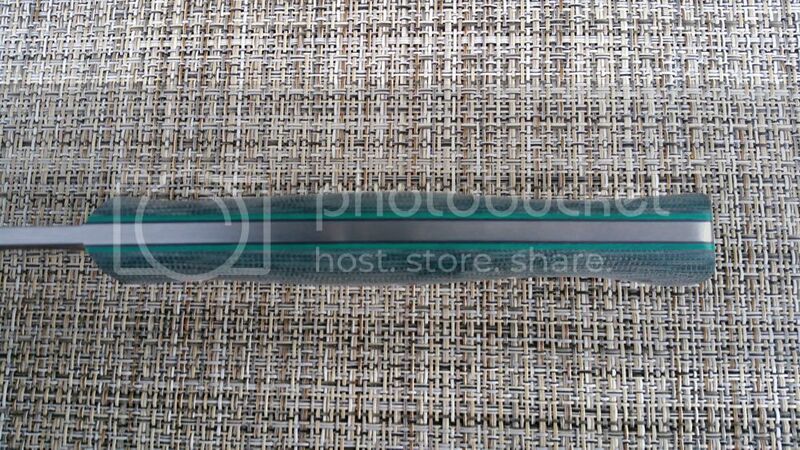 Prices include USPS CONUS shipping and PP fees. PayPal preferred but am also open to money orders. Open to International shipping but will need to discuss first. Note: Includes original kydex sheath (not shown). 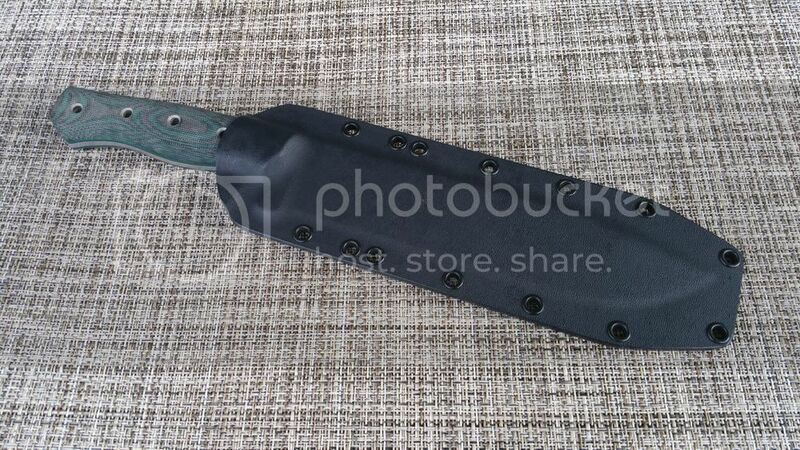 Upon my request to the seller, the knife was never been put in sheath to avoid any potential scratches. 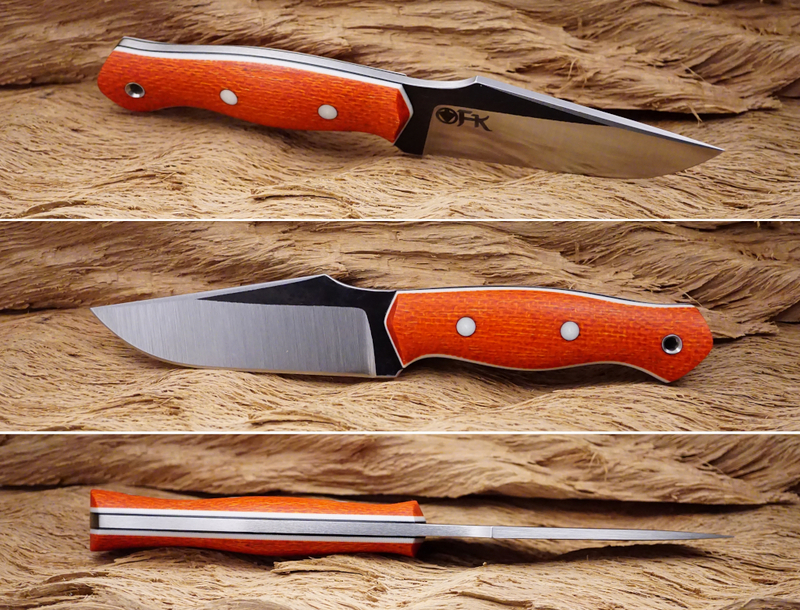 Esteban II Tangerine Burlap Micarta - White/Black Liners - White Pins - #12 1/8" SFT O1. New and unused from DLT. Hi Guys! Today I'm selling my Fletcher TOMBSTONE. Price includes CONUS shipping, and my Paypal is [email protected] - PayPal only. Knife has NEVER been carried, used in any way, or sharpened at all. 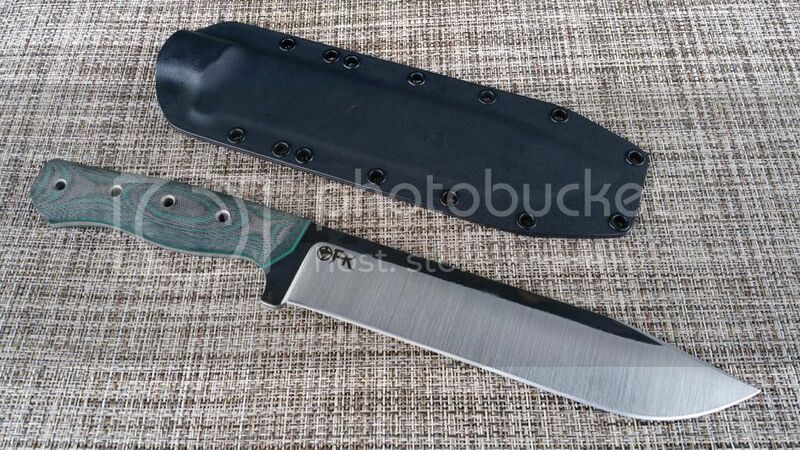 This is my very recently acquired Fletcher Knives Tombstone in 5/32" 01 & Green Micarta, with an amazing/flawless Tapered Tang & Black & Lime Liners on a perfectly contoured handle - then comes the 9 3/8" blade...the cutting geometries are dead on, & Dylan spent a lot of time, years, developing this knife to be the athletic & relatively light-weight freak that it is - I had a custom leather sheath made for it & then decided to let it go to make room for three other bowies I've been waiting for that became available nearly simultaneously - Both the Kydex Sheath that came with the knife & the leather sheath come with this knife, along with the birth certificate (**I recently bought this knife for $410 from DLT Trading btw**) I'm selling this Knife/Sheaths Package for only $311! Again, my PayPal is [email protected]. Please post something like "I'll take it" in this sales thread, that way it'll pop up on my email & I'll see it right away. You can PM additionally, but I really prefer that most communication is done via this sales thread - thanks guys! What's the final price on the Esteban II? Sorry, I just saw your question in the thread but I believe I replied to your email. Just to be helpful, you may want to do a Reply with Quote in the future so that the original poster is notified that they have a response/question. Since I paid $295 for the knife and it is completely new/unused, one would think that $295 would be a fair price to begin with. The price is currently dropped to my final price of $245 which is $50 cheaper for the buyer and my takeaway would be $231 given that I'm picking up PP fees and shipping. I hope that justifies the lowest price. 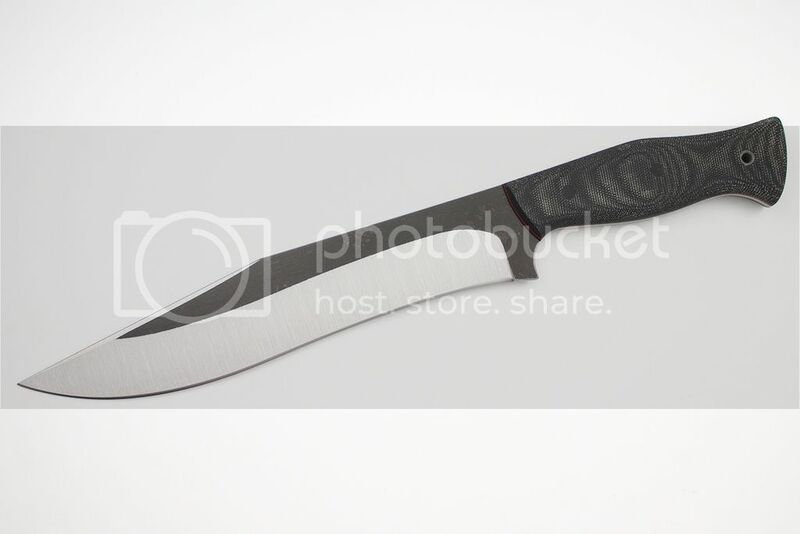 This is a very nice knife but I've got nearly 70 custom fixed blades among Fiddleback, Surls, Osprey, Fleming and Fletcher knives and need to scale that back. Figured I'd start with the new/unused condition pieces. 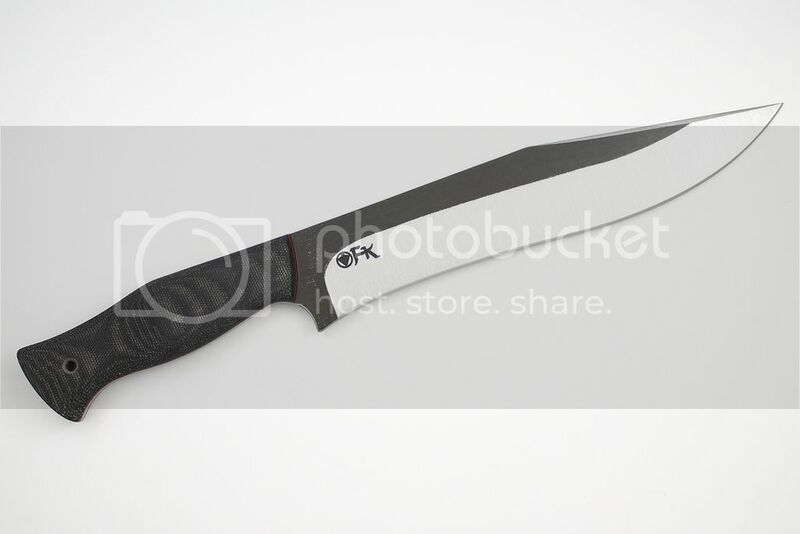 Here's a link to a similar knife at DLT, which is where I bought this from. Same specs and price. 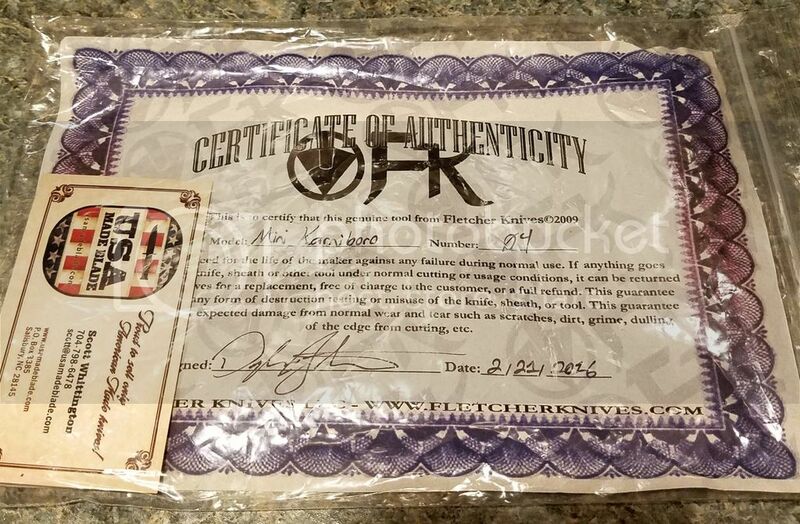 Dropping my FK 14" Tombstone Bowie price to $269! Hello! Sorry I'm a newbie. I wasn't sure how this thing worked quite yet. Thank you for the help. This is an awesome forum. I just ordered a Fletcher from DLT. I appreciate the recommendation. Hello! Guy here, Is this the exact model that you are selling?